I have set myself a challenge; to attempt a dish from a different country each month. 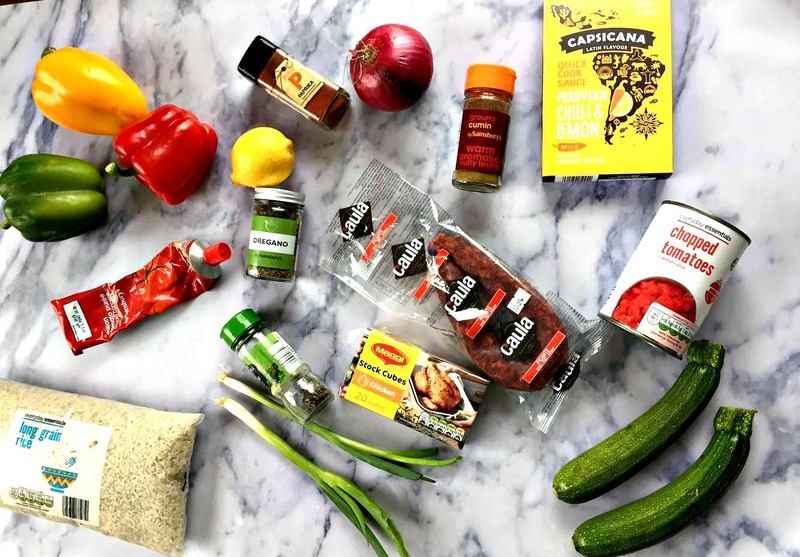 My boyfriend and I are trying to be more adventurous when it comes to cooking meals and so I thought, what better way than to try a different cuisine to spice things up every now and again. 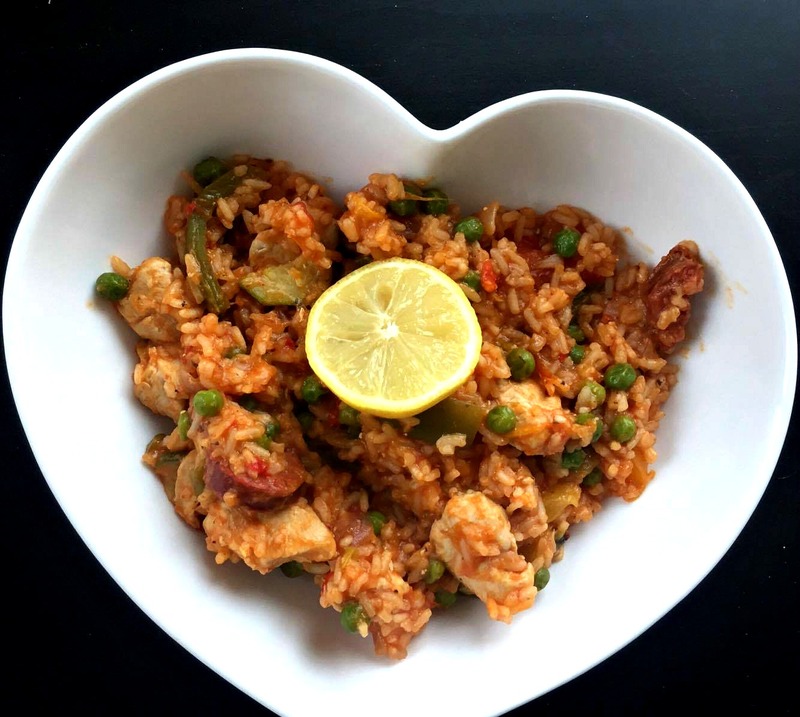 Today is the first dish in our little challenge and we've decided to make chicken paella, but with a Peruvian twist!! To mix things up a bit we wanted to be creative so we have incorporated the Peruvian chilli and lemon cooking sauce from Capsicana in our recipe and oh my god, it tastes delicious. You NEED to try. The Paella is really simple to make and you can chop and change the chicken for fish or meat if you prefer. 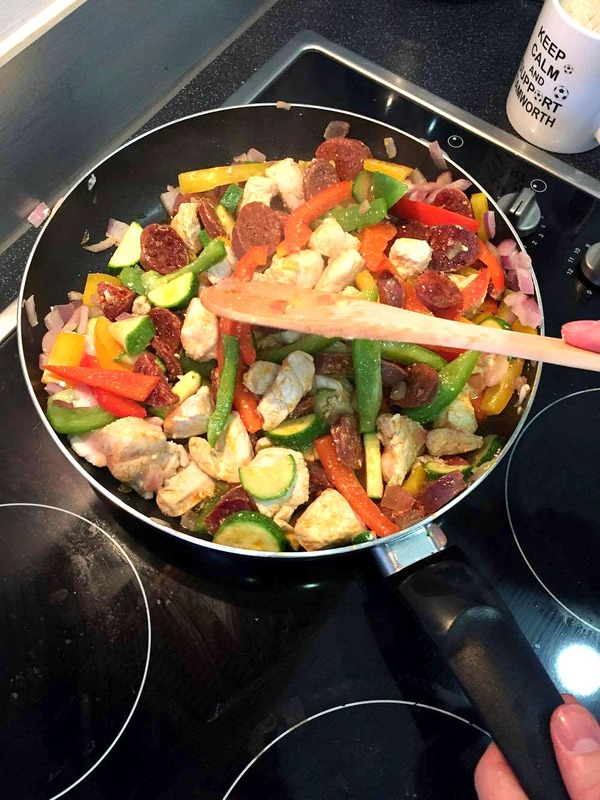 We used chicken and chorizo and yellow rice and added some vegetables in too. The recipe is suitable for vegetarians too if you choose not to add chicken, meat or fish and the sauce used is also gluten free which is fab. To start off the recipe you need to grab a large frying pan and spray with low calorie cooking spray before placing on a medium heat. Then take your chicken and fry for 5/6 minutes before adding the Capsicana Chilli and Lemon sauce. Leave it for a further 5 minutes before adding in spices, chopped red onion, peppers and chorizo. Add the rice to the pan and stir in the chopped tomatoes, tomato puree and stock, then bring to the boil. Cover with a lid (or another frying pan if you don't have a lid) and turn the heat down, letting the mixture simmer for around 15 minutes. Then add the frozen peas to the rice and cook for 5 minutes before removing everything from the heat. Once it's been left to stand for 10 minutes then stir everything together, season to taste and serve hot with lemon wedges and a green salad. I wish you had smell-a-vision because this smells DELICIOUS and tastes so so good. I've been craving Paella for ages so this was the perfect midweek meal. I highly recommend trying this recipe out if I do say so myself and definitely check out the Capsicana sauces. It gave the meal a little kick and so much more flavour. I can't wait to try out the Mexican Chilli and Honey one - I am thinking for Fajitas. Maybe I'll do a post on a Mexican night feast!? Let me know if you'd like to see that down below and please share some meal ideas too. I need some inspo! WHY MY DAD IS COOLER THAN YOURS!